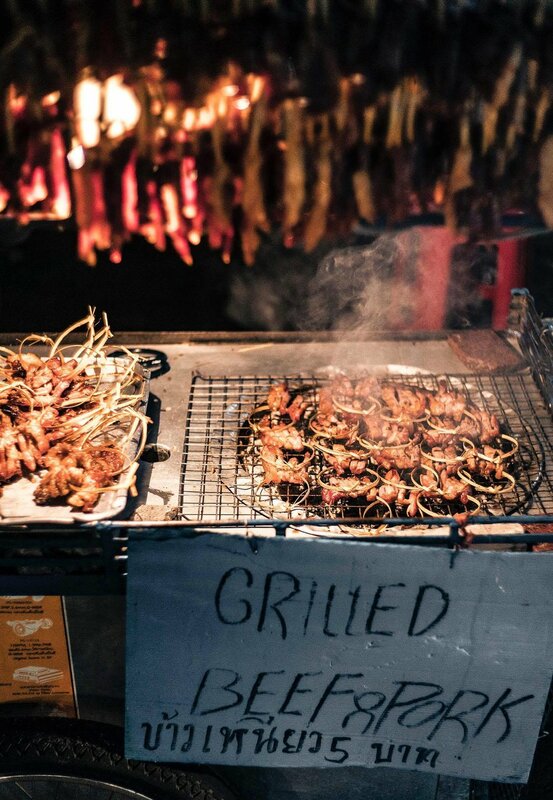 Bangkok is known for its street food vendors, who heat up the footpaths with their steaming woks and fire-lit grills. Aside from the added spices, fresh herbs and the vendor’s skillful cooking, the special flavour imparted in the dishes from these roadside snack spots is from the fuel they’re cooked with: charcoal. 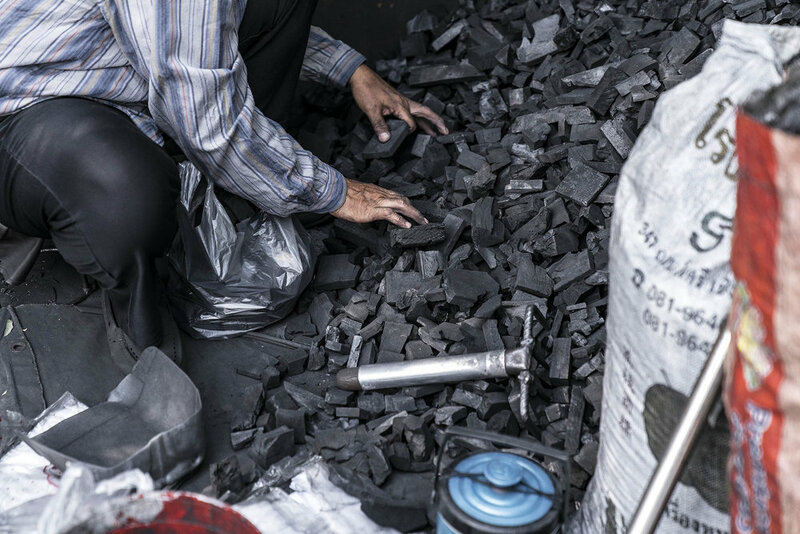 On a busy street corner of Khlong Toey, a mountain of charcoal has been a steady structure for decades. Here, a friendly husband-and-wife team have been selling charcoal for the past 27 years. “I come from Phetchaburi, but I’ve lived in Bangkok for almost 30 years,” says Dao, who sells bagfuls of charcoal every day with her husband, Chaiya. 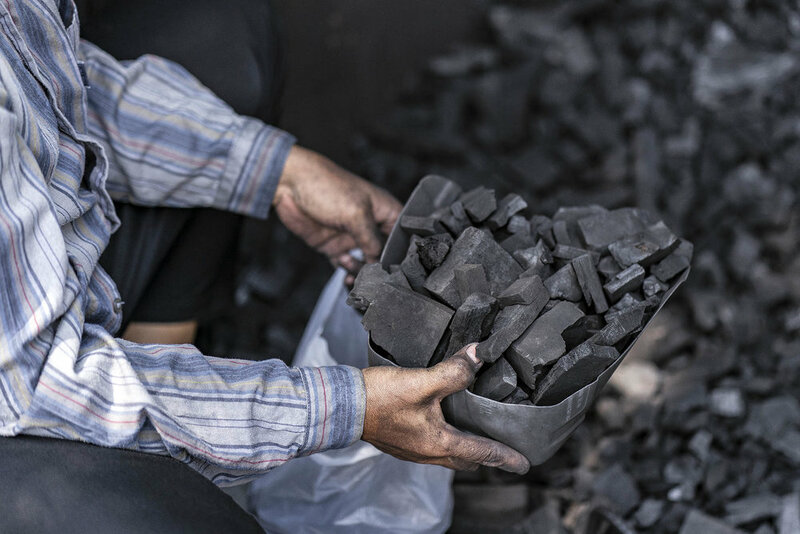 The charcoal, which comes from the south of Thailand, in Surat Thani, is made from leftover cuts of timber that’s been used to make furniture. The wood is burnt – sometimes in a drum, sometimes in a large hole in the ground – until the moisture has been removed and the timber has and turned to coal. The couple sell 600 kilograms of charcoal a day – 20 baht (about 75 cents) for a small shopping bag’s worth. “I like working here,” says Dao, smiling widely. “I’ve lived here for a long time. The salary is reasonable, I can afford to raise my kids and send them to school.” Dao’s oldest child is 28 years old, and runs her own company. “We inherited this job from my parents. But my daughter has her own business now, she won’t continue doing this after us. 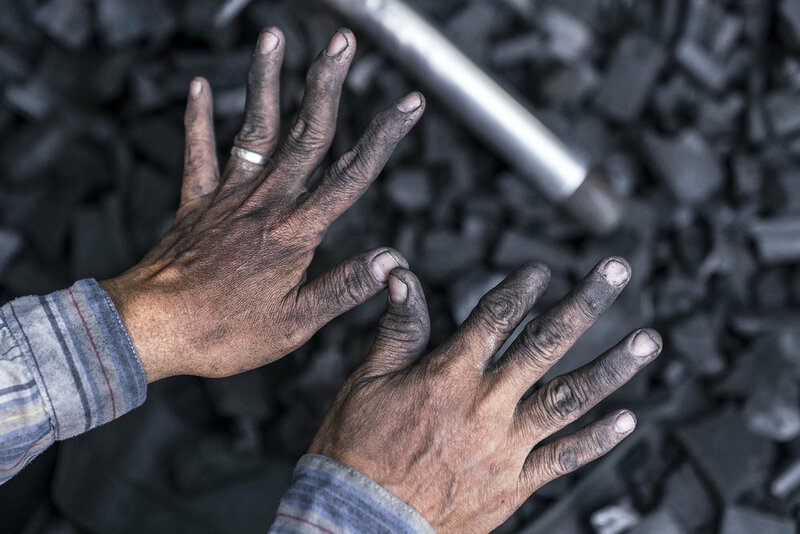 We are the last generation,” says Dao, whose hands are stained black from constantly shoveling the dusty blackened chips. A charcoal shop like this is a rarity these days in Bangkok, with more people opting for the pricier smoke-free charcoal bricks from supermarkets and hardware stores to fire their barbecues. It’s the local street food vendors, sellers of the smoky-sweet, caramelised grilled pork skewers that are popular breakfast snacks, or the pad Thai cooks, who deftly swing their wok over the flickering fire to make the country’s beloved noodle dish, who are the couple’s most loyal customers. But Dao and Chaiya also face another looming threat: the government. 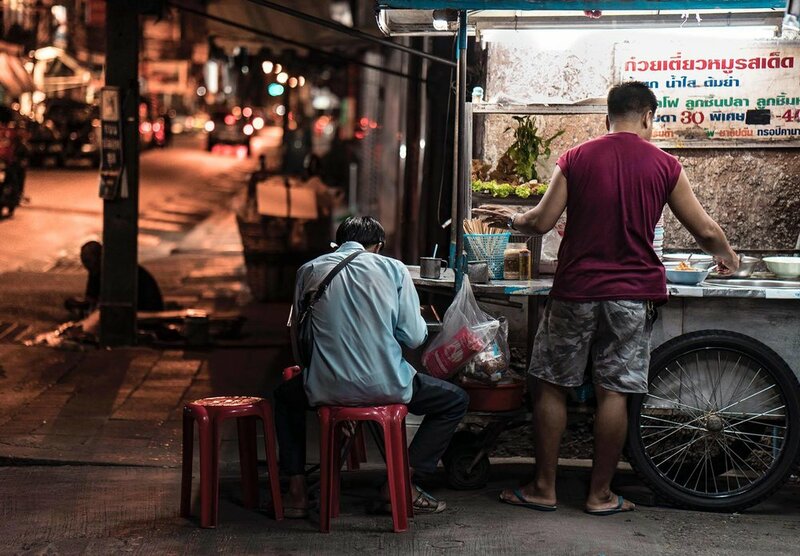 “The government is trying to get rid of all street vendors in Bangkok,” says Dao, about the recent street sweepings that have seen the forced closures of popular street food hubs on Sukhumvit Soi 38, Thong Lor and the clean-up of Yaowarat, Bangkok’s Chinatown. While the government have since backtracked on their threat to remove all of Bangkok’s street sellers, vendors are still uncertain about their future. “We have been here for a long time, but I don’t know when the government will tell us to stop. I’m worried,” she admits. If the couple are forced to leave this corner, they don’t know where they could move their shop. “It would be hard for us to move into the market, if the government made us leave. There are already charcoal shops there, and it could create problem with the other vendors,” says Dao. For now, though, Dao and Chaiya continue their work of sorting, packing and selling charcoal every day. “We work every day. Sometimes we are forced to take a holiday; during the rainy season when there are often floods, it’s hard to find charcoal,” she says. “But it only stops us working for one or two days.” Then they're back to their little corner of the city.